A tribute to mountain pioneers, this model is a new take on the classic shield sunglasses used by mountaineers, now presented with an updated shape and appeal. 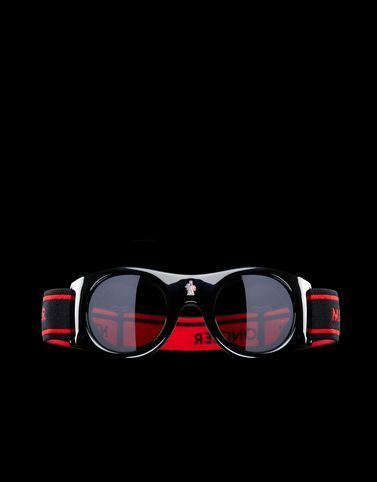 A sporty accessory that conveys a contemporary attitude: the iconic rounded front features ultra-flexible polyamide lenses and an integrated perforated neoprene insert that keeps eyewear from fogging up. The elastic band adds comfort and a fine aesthetic touch. Specific colourway for the Moncler Palm Angels, collection n. 8 of the Moncler Genius project. Lens size: 55mm - 2.17"